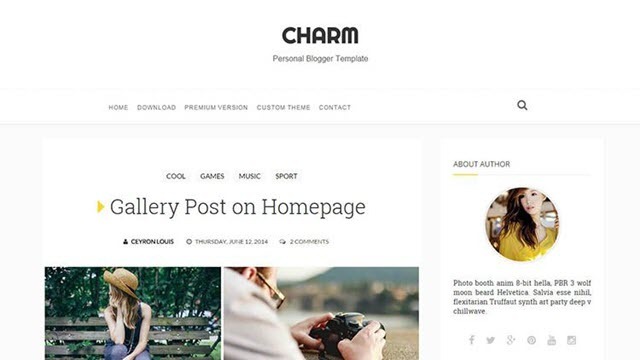 Description: Charm Personal Blogger Templates is a clean and personal responsive blogger template. This theme is designed for personal blogging and is a responsive blogger template that comes with 2 column layout given which is SEO optimized to come up in SERP as fast as possible. Charm responsive layout theme falls in the category of Personal Template. The Charm personal responsive blogger template has a 2 column design which is apt for personal blogging.